Go & Tell Kids will help you pack your bags to go and tell kids about Jesus. 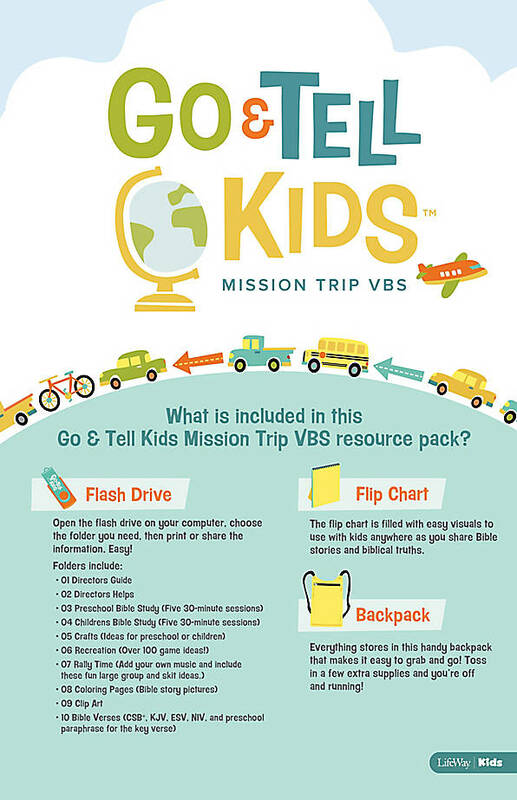 This easy-to-use, transportable VBS is designed to help you host a VBS anywhere in the world. Simple visuals, 100+ recreation games, and five sessions of gospel-centered content help you explain the good news to kids on mission trips and in unconventional settings.